Firefighters determined to make a difference after most recent fatal fire claims the lives of two small children and their great-grandmother. It was a typical Friday night for the Zarate family. 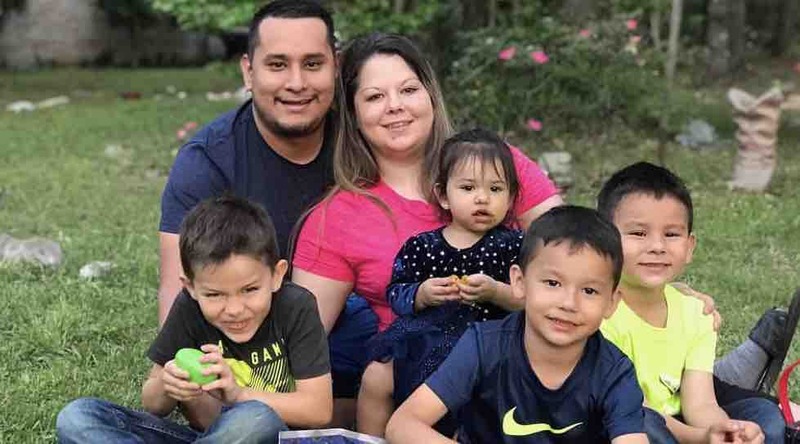 It was early June, as Marco and Amanda spent the evening together in their home with their four small children, brothers Daniel, Marco Jr. and Julian along with their infant sister, Vanessa and family matriarch, 92 year old Raquel Figueroa. Early in the evening the children were tucked into their beds, while the adults stayed up late to watch the NBA playoffs, eventually falling asleep in the living room of their one story brick home in the Sommerset Estates subdivision located southeast of Conroe off State Highway 242. Sometime after the children were tucked into the bed, a small fire broke out on the kitchen stove, igniting the kitchen cabinets and spreading into the attic, filling the home with hot, toxic smoke. The home was equipped with a smoke alarm in the living room, but by all accounts it never sounded, either because it was too old or because the fire had disrupted the electrical power in the attic above the kitchen. At the time the home was built, new smoke alarms were not required to have a battery backup, relying solely on the home’s electrical service. Marco was the first to wake up, followed by his wife, Amanda. They awoke to a parent’s worst nightmare, they could not see or breathe, and they could not reach their children’s bedrooms through the smoke filled hallway. One neighbor called 911 while a second neighbor went to the home to search for the children. As he opened the front door, he was met by a wall of smoke, but he was able to drop to his knees and just a few feet inside the door he found 7 yr old Daniel and 5 yr old Julian crawling on the floor unable to find their way out. The neighbor guided the children out the front door and then joined Marco who was frantically trying to reach the remaining two children still trapped in their bedrooms. Three Caney Creek Firefighters and their Battalion Chief were on scene only a couple of minutes after the first 911 call, and as they arrived they saw Amanda Zarate crawling out the front door with life threatening injures. Firefighters immediately entered the home at great risk, making their way to the children’s bedroom, pulling 6 yr old Marco Jr. and 1 yr old Vanessa out as the first EMS crew arrived on scene. Sadly, while the fire never reached their bedroom, both children succumbed to smoke inhalation. Firefighters then re-entered the home and soon found the body of their great-grandmother Raquel in the living room of the home. An accidental kitchen fire, the most common type of fire in the nation today, had forever changed the lives of an extended family and all those who responded and knew them. This Saturday, October 27, Montgomery County Firefighters and their partners will be fanning out across Montgomery County, installing smoke alarms and educating residents about home fire safety. “Get Alarmed Montgomery County” is a County-wide effort aimed at promoting fire safety and reducing the risk of loss of life to fire, especially for our most vulnerable citizens. National statistics reveal that children and the elderly are the most likely to lose their life in a fire, with the risk of death doubling when there are no working smoke alarms in the home. Our goal during this effort is to keep another family from suffering a similar tragedy. During a similar effort last year, over 500 long-life smoke alarms were installed in bedrooms and hallways of nearly every home in the Tamina Community. Those alarms feature lithium batteries that will last as long as 10 years, helping to insure the safety of an entire community. With this year’s effort, we hope to make a similar impact across the region. If you own your home and cannot afford smoke alarms, or need help installing alarms you already have, you can go by your local fire station or call the Montgomery County Fire Marshal’s Office at (936) 538-8288. You don’t have to wait until October 27, as crews are already out working in the community. The Montgomery County Fire Chief’s Association, a 501 C-3 non-profit organization, has established a donation fund for those who would like to support this effort. The Howard Hughes Corporation has graciously agreed to open that fund with a $2500 donation, but we need everyone’s help to not only make this event a success, but to sustain future efforts. Donations large and small are welcome, and if your group would like to assist, please contact the Montgomery County Fire Marshal’s Office at (936) 538-8288 or you can follow the Fire Chief’s Association on our Facebook page. If you are renting your home, State Law requires that your landlord install working smoke alarms in every bedroom and in the hallways serving them. Once the alarms are installed in rental property, tenants are responsible for replacing the batteries. If you own rental property or are renting and have questions, please contact the Fire Marshal’s Office for assistance.